In order to take full advantage of the Instant Cash Offer program, the dealership has made it an integral part of the overall sales process. 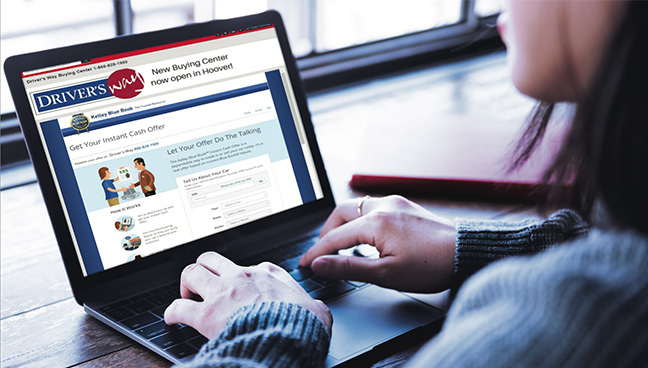 Kelley Blue Book Instant Cash Offer provides an empowering customer experience by allowing the consumer to take an active role in generating a cash offer amount for their trade-in. Case studies from Kelley Blue Book are designed to illustrate how various types of auto dealerships across the country are using tools and technology to transform their businesses. 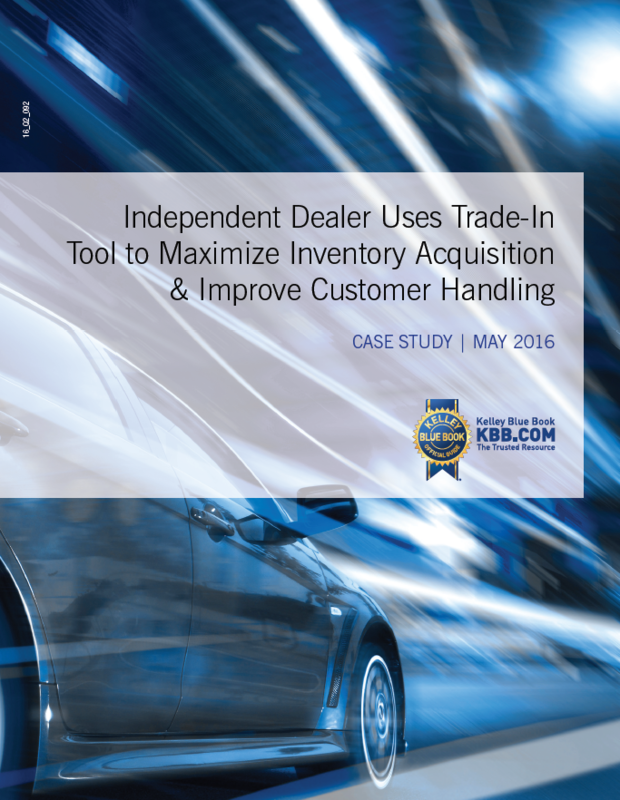 This case study looks at an Independent dealer’s experience with Kelley Blue BookSM Instant Cash Offer and how it supports a dealer’s operations in the critical steps leading to a sale – specifically the areas of vehicle selection, acquisition and customer handling – to ultimately help deliver the kind of end-to-end experience that today’s consumers expect. Learn how this dealer not only optimizes vehicle selection and acquisition, but also helps deliver the end-to-end experience that today’s consumers expect.